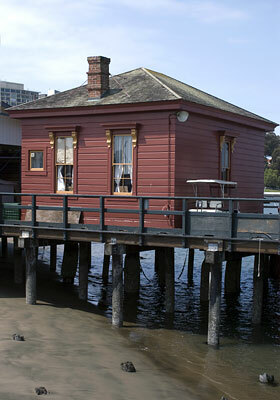 Tubbs Cordage Company, makers of maritime and mining rope, was founded in 1857 at Potrero Point. By 1889, it was one of the largest employers in the industrial Dogpatch neighborhood. The 1899 Sanborn Insurance Maps show the famous Tubbs Cordage Rope Walk, a covered pier over one thousand feet long that extended into San Francisco Bay allowing cordage workers to twist fiber strands into very long ropes. After a more than a century in business, Tubbs Cordage ceased operations in 1962. 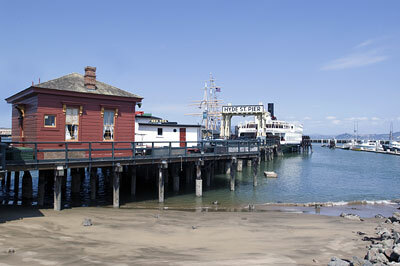 Much of the rope making machinery was donated to the Maritime Museum, and the Tubbs Cordage Company Office Building was moved from Dogpatch to its present location on the Hyde Street Pier.